Atul Gupta is the Founder and CEO of InSync Tech-Fin Solutions Ltd, an IT product company based out of Kolkata, India. 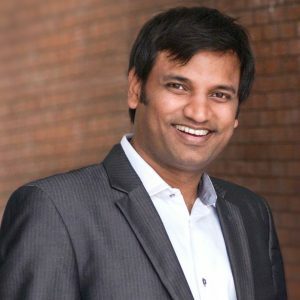 He started his entrepreneurial career in 2003 with software services and eventually found his mojo with a software product which has been his major focus for the past years. APPSeCONNECT, which is a product of InSync Tech-Fin Solutions is a smart integration platform which makes E-commerce businesses operationally more efficient. InSync has worked with over 300+ eCommerce business across 40+ countries all over the world and the list is growing fast! Atul is also the Managing Trustee of Inspiria Knowledge Campus (A J.P. Sahu Foundation Initiative) – A higher education college in Siliguri, West Bengal. The objective of this venture is to “make the youth employable” and inspire them to achieve. The campus is located in Siliguri on a 5 acre land and has a state-of-the-art infrastructure build over 1 lakh sq ft, equipped to bring the best out of the youth. It also has an incubation facility for startups, providing a platform for the budding entrepreneurs to fulfill their dreams! Being a member of the NASSCOM Eastern Region Product Council, Atul plays an active role in building industry – academia relationship for the council. He is very keen and passionate about encouraging student entrepreneurship and in order to bridge the gap between the students and the industry, he has taken up the initiative of organizing the NASSCOM Education Summit, in partnership with NASSCOM. This event is aimed to give a platform to students to interact with the experts and thought leaders in the industry, learn about the latest trends and also share their business ideas. Click here to book a session with Atul.